For those of you who said no to dessert during the holidays, have been loyal to their New Year’s resolution, and have kept up on their exercise regimen without fail these past six months, then you’re well on your way to showing off your summer bod once the weather finally breaks. For the rest of us, it’s time to cram in some intense workout sessions and reevaluate our diets as we prepare for beach vacations, pool days, and laying out soaking up the summer sun. 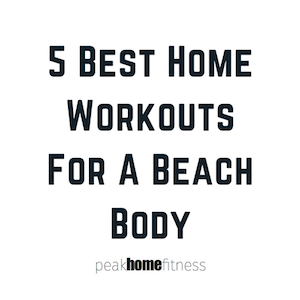 The best home workouts for a beach body means leaning out, adding a little bit of muscle, but mostly burning fat fast. Below are the 5 best workouts you should start RIGHT NOW if you want to feel great when you take your shirt off this summer. The two biggest names in the Home Fitness workout world are P90X and Insanity, and each line’s best products are P90X3 and Insanity Max 30. It’s only fitting that we pit these two programs up against each other to determine which can lay claim to the best home fitness workout series on the market. We analyzed everything from cost to intensity of the workout, as well as effectiveness and which program would be better suited to you, the person doing the workouts. 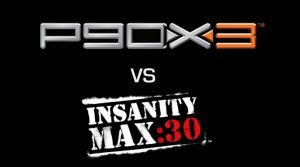 In the end, both P90X3 and Insanity Max 30 have a lot in common, but one has just enough edge over the other to be considered the best!